In the case of In re Mort Ranta, the 4th Circuit Court of Appeals held that Social Security income should be excluded when calculating disposable monthly income in Chapter 13 cases. This means debtors are not required to pay Social Security income into their Chapter 13 plan, even if not paying it results in a surplus in their budget. Prior to our current Bankruptcy Code being enacted, Social Security income was like any income. If the debtor had $2,000 in income from wages and $1,500 in Social Security benefits, the debtor had $3,500 a month in income as a starting point for determining disposable monthly income–that income exceeding what the debtor needs for reasonable monthly expenses. But the “new” Bankruptcy Code changed that back in 2005. It defined “current monthly income” as the average income derived and received by the debtor in the six months prior to the month in which the debtor files bankruptcy, and it very clearly excluded Social Security income. Using our example above, current monthly income (“CMI”)includes the $2,000 per month in wages, but excludes the $1,500 in Social Security income. It’s like those tunnels in Virginia. If you don’t drive in, you don’t drive out. If you’ve ever driven in Virginia, you’ve driven through the a tunnel or two. But if you decided not to drive into the tunnel, you couldn’t drive out. This is how I explain this issue to my clients as it relates to Social Security income: If it’s not counted as income in the first place (not part of “current monthly income”) then it’s not part of your disposable income. For example, prior to the enactment of the new Bankruptcy Code in 2005, if you had $3,500 of income and $2,000 of expenses, your disposable monthly income would be $1,500. Pretty simple. After the new code was enacted, if you have $3,500 of income but don’t count the $1,500, the math looks like this: $2,000 minus $2,000=$0. So our post-2005 senior citizen would not be required to pay anything into her Chapter 13 plan. She could pay in something if she wanted to–such as an amount necessary to pay off a car or cure a mortgage arrearage–but she would not be required to do so. Seems pretty straightforward. Why all the fuss? The fuss arose because, like many provisions in the 2005 code, this makes no sense. 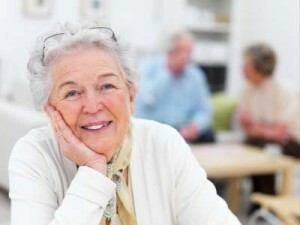 One can make an argument that elderly folks should be treated differently, but if they have income to devote to repaying creditors, the Bankruptcy Code should require that it be pledged to the plan over the “applicable commitment period” of three to five years. And because this makes no sense, bankruptcy judges and Chapter 13 trustees found an end run around the Social Security exclusion by taking the position that if the debtor’s Chapter 13 plan did not pledge all available income, including Social Security income, then the plan must not be proposed in good faith–a requirement of the Code. Bankruptcy judges and Chapter 13 trustees don’t like the idea of debtors pocketing (if we use our example) $1,500 a month which would otherwise be available to repay creditors. That’s $90,000 which would otherwise be paid into a Chapter 13 plan. Over the years other circuit courts of appeal have decided this issue as the 4th Circuit just did: Social Security is excluded from the debtor’s disposable income and, by extension, his plan payments. The 4th Circuit ruled as it did because the plain language of the Code excluded Social Security income. The Court further stated, in a footnote, that failure to pledge Social Security income, by itself, would not constitute bad faith. In other words, this decisions marks the end of the end run for judges and trustees in the 4th Circuit. The holding makes perfects sense because it is illogical to view something as bad faith when the Code specifically allows it. As the maxim goes, “Equity follows the law.” Judges can’t contravene the law solely because they think it’s unfair. The Court made what the Code plainly says even more clear: Debtors are not required to pay their Social Security benefits into their Chapter 13 plans but may, at their option, use those funds if they want to do so to make the plan feasible. First, from all of us representing consumer bankruptcy clients, I’d like to say congratulations to Virginia Bankruptcy Lawyer, Dan Press, who represented the debtor, Robert Mort Ranta, in this matter. I’d also like to congratulate Tara Twomey of the National Association of Consumer Bankruptcy Attorneys–NACBA–who filed an Amicus brief in the case. These two attorneys are nationally known, and those of us who labor in this area of law owe a great debt to them. Third, this provision in the Code excluding Social Security is a testament to what groups can achieve when they get organized. AARP is a powerful lobby. Young voters suffering with the student loan crisis should take note and get organized. All too often young people don’t vote or otherwise demand to be heard. We now have a student loan crisis, and that needs to change. Lastly, the 4th Circuit judges who decided this case should be commended for following the law, rather than re-writing it to their liking. If debtors have to bear the many onerous burdens of the 2005 Code, they should also get its benefits. All too often courts have taken a “heads we win; tails you lose” approach to dealing with consumer debtors. The 4th Circuit didn’t do that, and those judges should be commended.